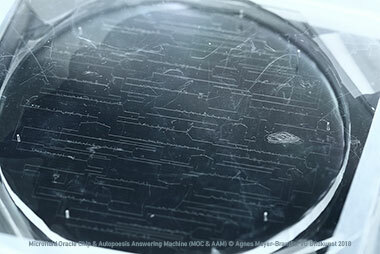 Microfluid Chip Oracle & Autopoesis Answering Machine from ResearchRaft on Vimeo. 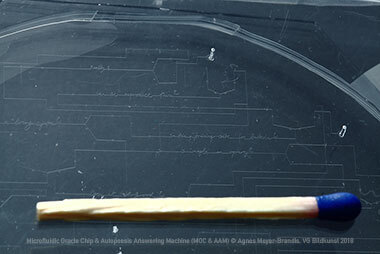 The Microfluid Oracle Chip and Autopoesis Answering Machine (MCO&AM) is a very small drawing and cybernetic agent, that can only be observed with the help of a microscope. 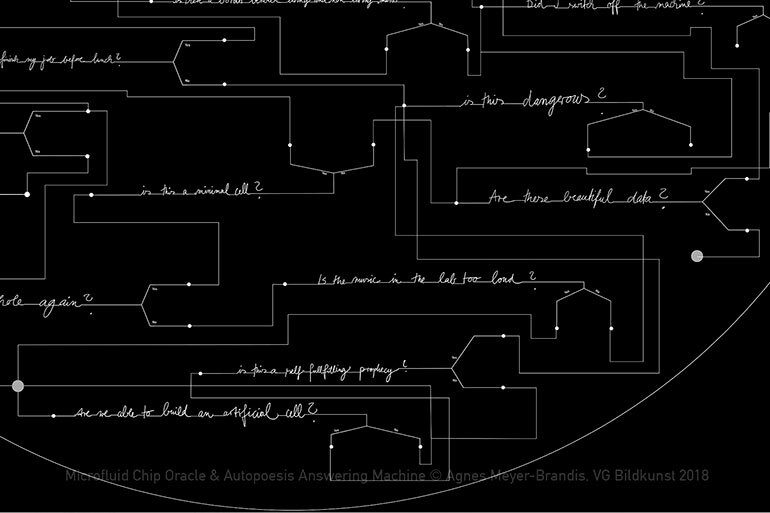 It is an oracle driven by tiny droplets that run through the handwritten text like blood through a vain or sap through a plant. After finishing my time at the MPI I asked the scientist I met for questions. 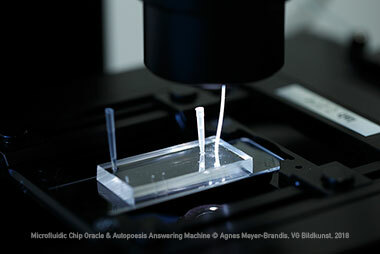 Questions that pop up from day to day, within a scientist’s work life or their research. The only requirement was that they could be answered with „yes“ or „no“. 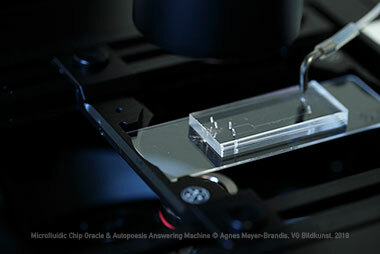 The Microfluid Oracle Chip & Answering Machine is built out of those questions and hopefully will be able to answer them by the means of biotechnology, microfluids and autopoesis. 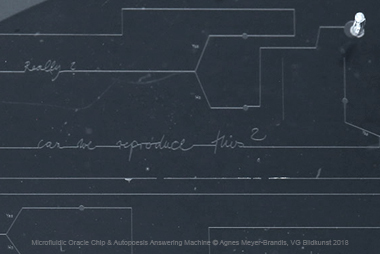 Each question can be looked at as an experiment of its own that will be answered by numerous droplets, literally flowing through the question itself. 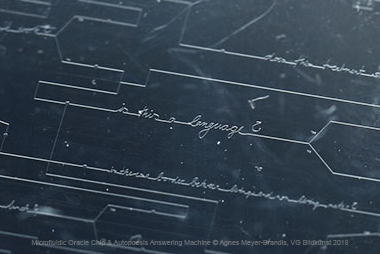 Each answer will lead the oracle machine to the next question, that then will be answered and lead to another one and so on until the chip renders itself useless. 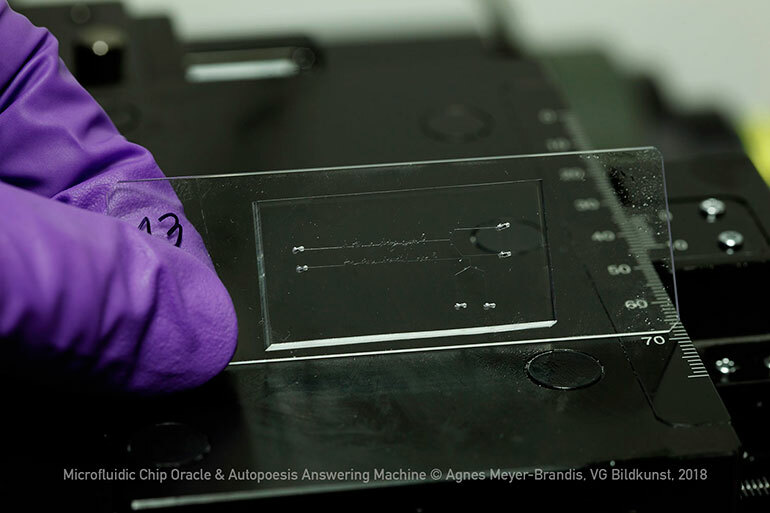 Credits: "Microfluidic Chip Oracle & Autopoesis Answering Machine (MCO&AAM)" started in the scope of KLAS, Artist in Residence Project at the Max Planck Institute in Postdam Golm 2018. 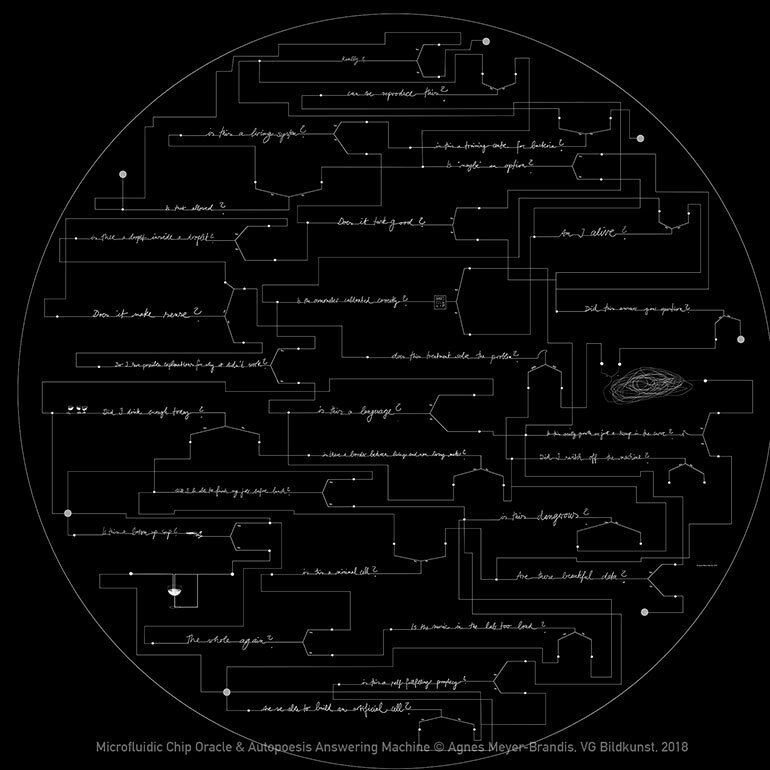 With great support of: Naresh Yandrapalli and the Tom Robinson Lab and Dirk van Swaay from Wunderlichips.